KREDIT is one of the largest financial institutions in Cambodia and has become unique in the industry with regards to its ability to respond to the social needs of clients and communities. KREDIT is providing clients with a variety of finance and non- finance products and services. Besides this, KREDIT takes 5-10 per cent of its annual net profits and donates this to social initiatives in the region. 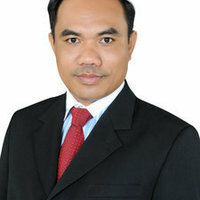 Chan Mach has been the CEO of KREDIT since 2006. With a Bachelor degree in Mathematics and experience as a math teacher, Mach joined KREDIT initially in 1999 as an Auditor and Trainer. Soon after his leadership skills were noticed. Over the past ten years Mach has transformed KREDIT into a financial institution creating a lot of impact. Mach holds a Master's in Business and Finance. Cambodia has had a lot to endure over the last century. Ongoing wars led to uncertainty offering many opportunities for corruption. In the last decade the situation in Cambodia has calmed down. Economic growth has resulted in a gradual improvement of the situation. Still, with an average income of 300 dollars per person per year, Cambodia remains one of the poorest countries in the world. The majority of the Cambodian economy is based on the agricultural sector. Agriculture and fishing have always been of great importance for the self-sufficiency and domestic trade of the country. Rice, cassava, rubber, corn and pepper are the most common crops.